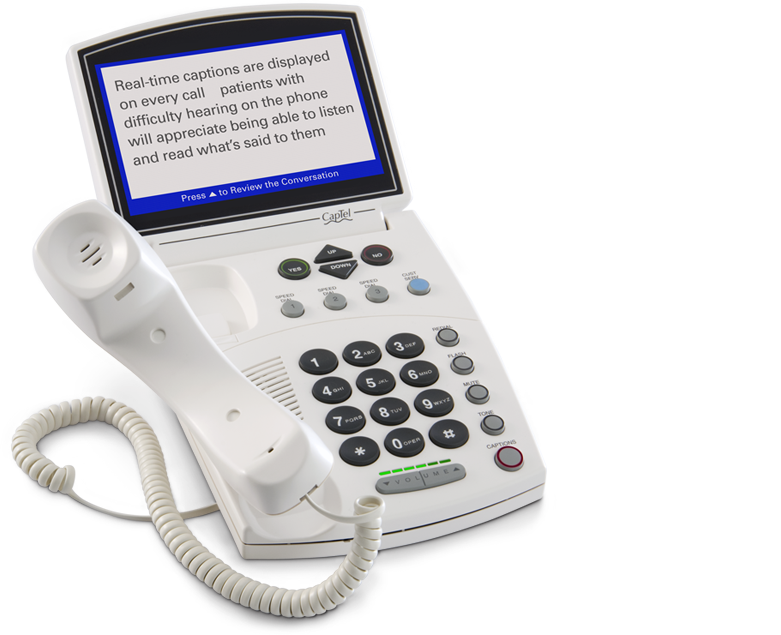 Backed by over a decade of proven captioned telephone technology, Hamilton CapTel is dedicated to making phone conversations simple and accessible for individuals with hearing loss. And with professional certification, you may qualify to receive a Hamilton CapTel phone at no cost1! Complete the form in its entirety. Your personal information and signature are required, along with the signature of the certifying professional, verifying your hearing loss. Submit the signed Certificate of Hearing Loss/Order Form as directed on the form. (Please allow 1-3 weeks for delivery). If you have questions, please call 877-455-4227 or send e-mail to order@hamiltoncaptel.com. 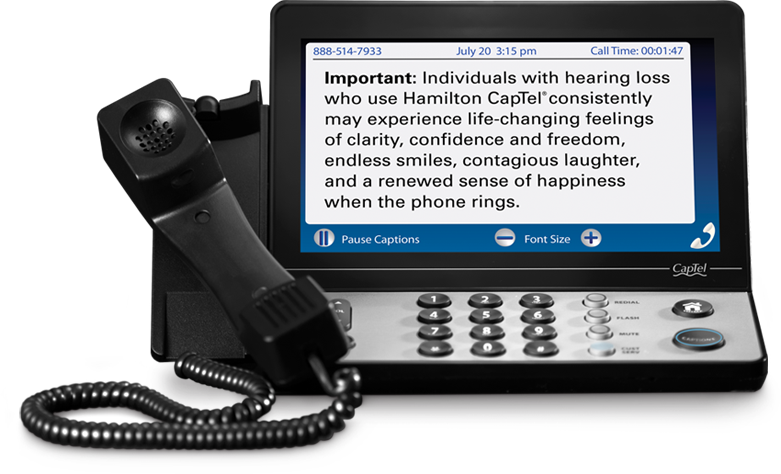 More than an amplified phone, the Hamilton CapTel Phone allows you to experience captions of what’s said to you – similar to captions on television. Perfect for even the most important conversations.